Technics have clearly been encouraged by the success of the new SL-1200s and have been inspired to build a new version of their top turntable from back in the day, the SP-10. The new SP-10R has a composite platter with a 10mm thick brass top layer to bring mass up to 7.9kg, a coreless direct drive motor and will be sold as separate motor unit and power supply for £8,000. 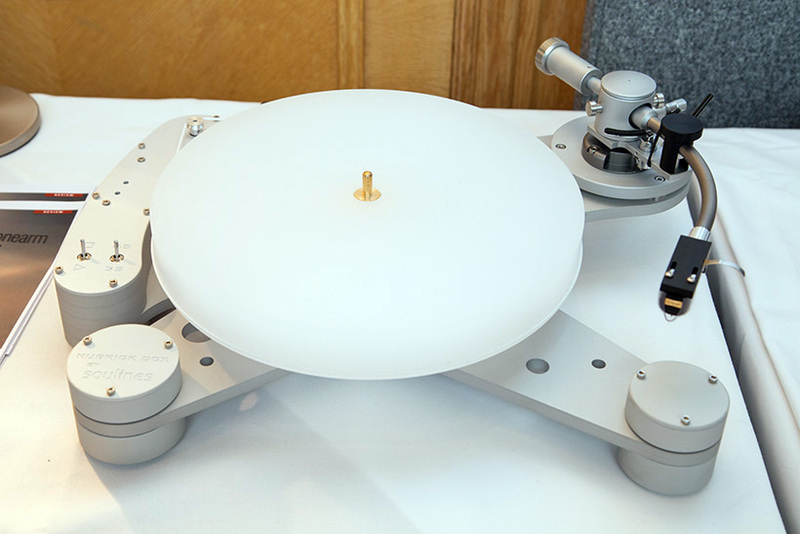 Alternatively the same parts are available in a plinth with a Technics tonearm as the SL-1000R for £14,000. The SL-1000R sounded rather good playing Nils Frahm through Technics amplification and speakers and made me realise that I really do need All Melody on vinyl. 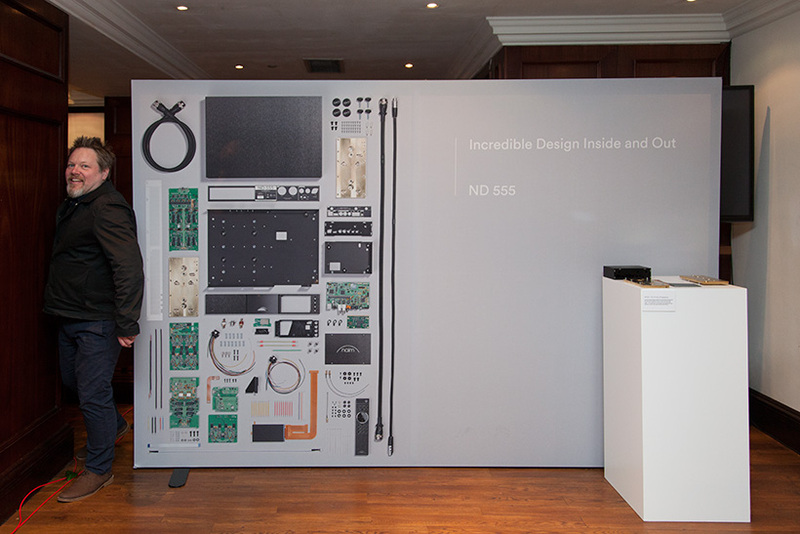 Naim had a Classic system on dem with a pair of Scala Scala Utopia Evo speakers and hints of new product around the room, not least a banner photo of the component parts of an ND 555 streamer/DAC. This preview was a clue to the fact that an NDS replacement is coming very soon, likewise there was an NDX 2 (below) on static display, an indication that the NDX will not be in the range for much longer. A few details were available including the fact that both streamers will get a 5inch TFT display and all the functionality of the Uniti range including Tidal, Spotify and Chromecast. 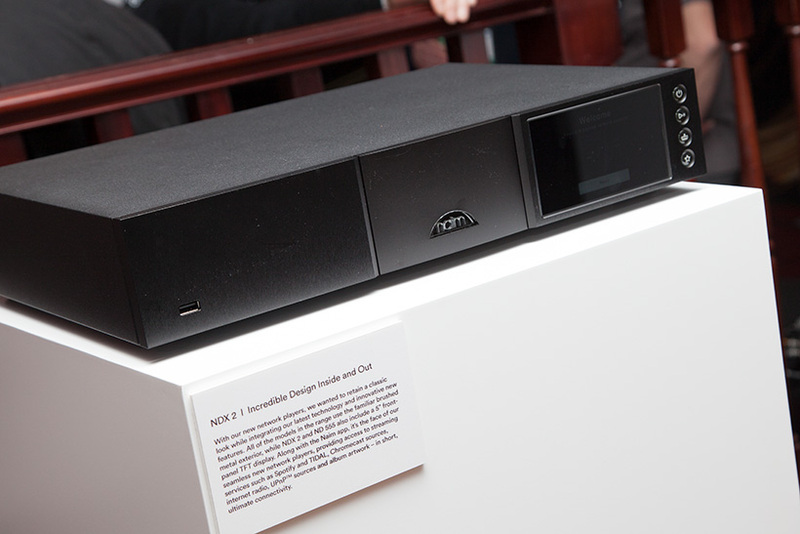 Naim’s room was surprisingly devoid of Uniti product but they did have this in another area and the UnitiNova could be found driving a pair of Focal’s stylish Kanta No.2 speakers (£7,000) in that brand’s room. 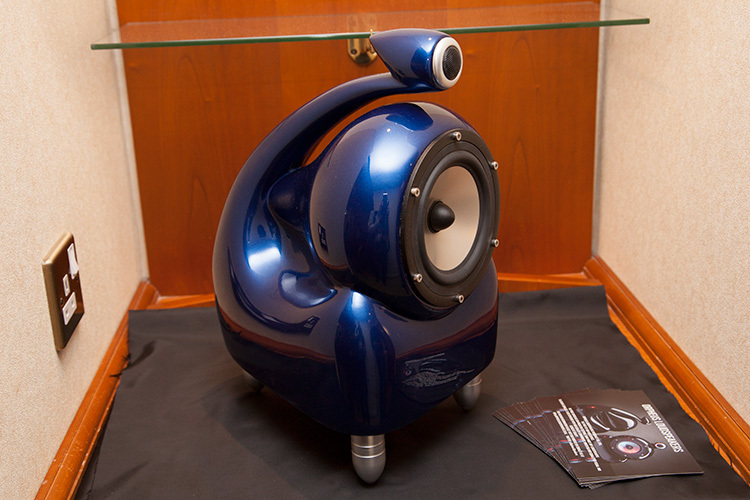 This colourful floorstander has flax based drivers as seen in the Aria range, allied to a beryllium tweeter not unlike those used in Utopia models. 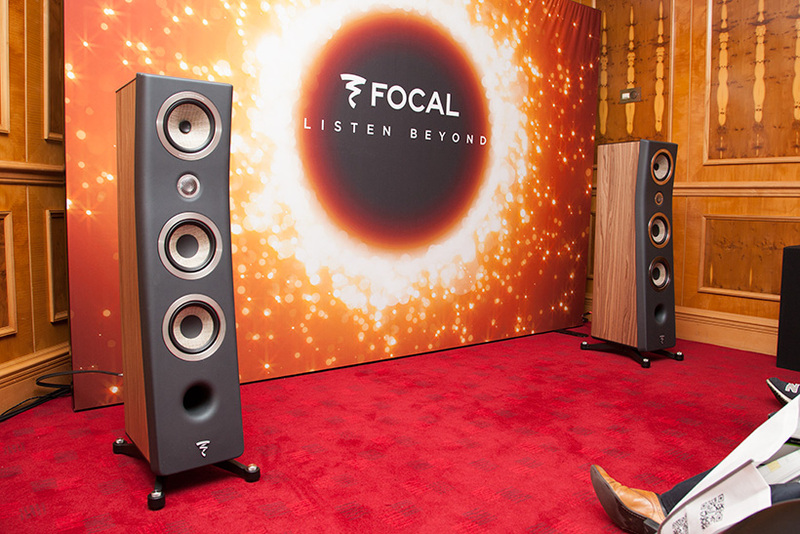 This system was appealingly relaxed and effortless which is more than can be said of many at the show. 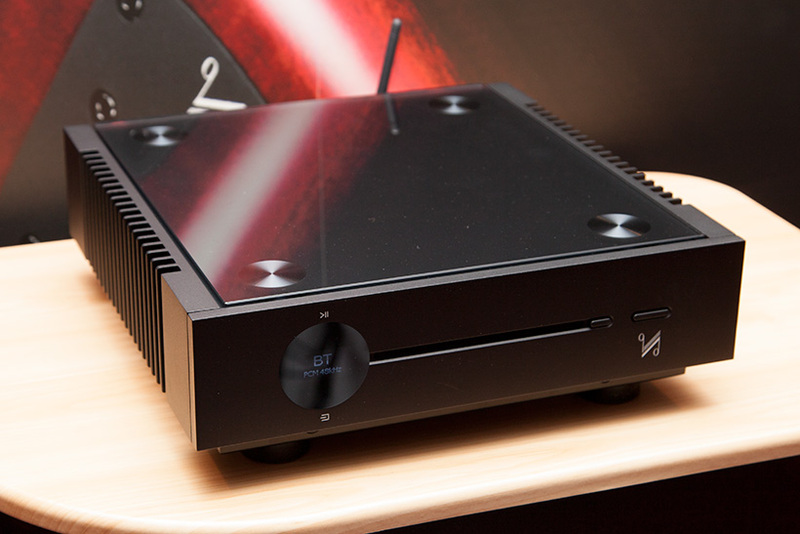 Quad showed its integrated Solus version of the Artera CD transport/DAC/amplifier at £1,500. This has a dual mono 75 Watt class AB power amp and a hybrid multi-bit Delta Sigma DAC with capabilities up to 32/384 PCM and DSD256. With both analogue and digital inputs including USB, and both XLR and RCA outputs alongside speaker terminals, it’s a competitive looking piece of kit. 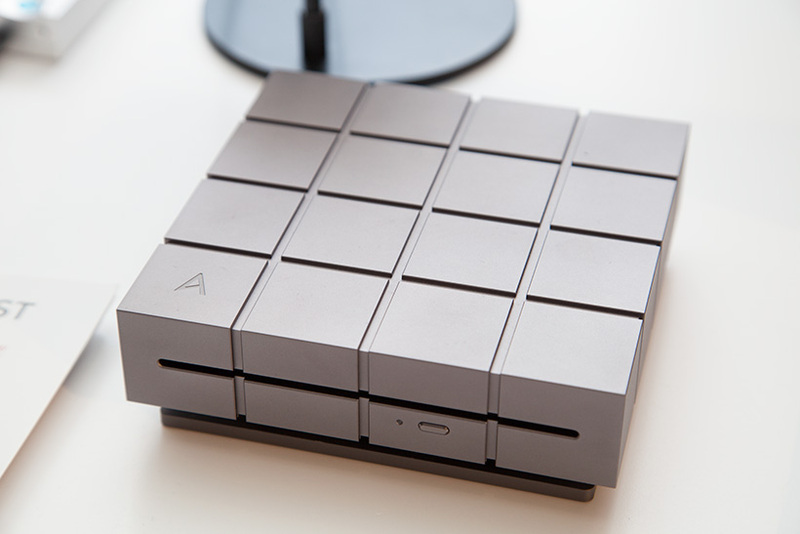 Astell & Kern didn’t show any new players but did have a dedicated CD-Ripper MkII (£399, above) specifically to get the data from your discs into their portable digital devices. 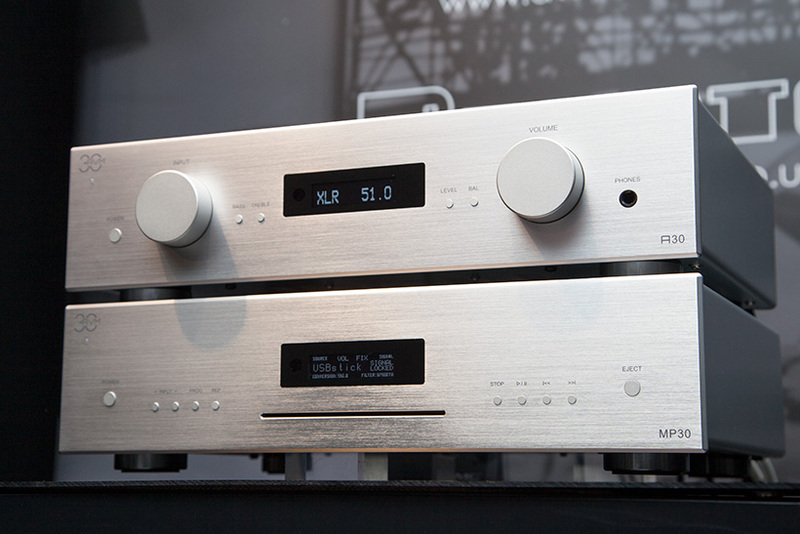 They also showed the A&K ACRO L1000 (£899, below) which is a DAC and headphone amplifier that can also drive desktop speakers, check out the knurling on that knob! Inspired by film director Stanley Kubrick the Soulines Kubrick DCX (£3,000) is a turntable from Serbia that is designed and machined so that all moments of inertia are centred on the main bearing. Each piece of aluminium is isolated with cork and the platter is acrylic. The arm is a Dutch made Timestep T609 with a classic Ortofon banana shape titanium armtube and magnetic anti-skate for £1,500. Timestep had several upgrade parts for Technics SL-1200 decks as did Funk Firm whose Spin Bearing (£420, above) and three-part glass, aluminium and Achroplat Strata platter (£864) are designed to make the most of the classic direct drive turntable. 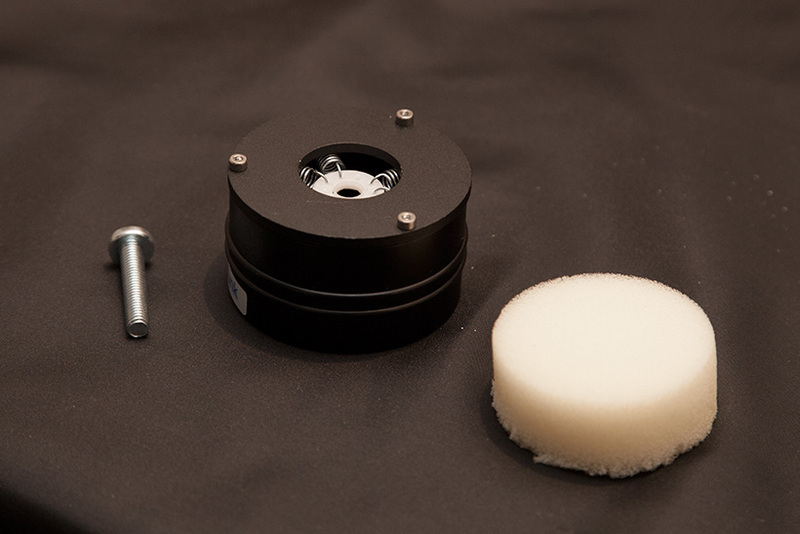 Funk also showed its Bo!ng feet (below) for Rega turntables, these contain damped springs and screw in place of the original feet for £112 a set of three. AVM launched its 30th Anniversary range at the Munich High End last year but that was a limited edition run for the home market. This year the company’s most affordable electronics are available in the UK and quite a range it is too, seven components start with the 125W A 30 integrated (£2,750) with digital inputs, Bluetooth and headphone output, the PA 30 (£1,800) is a preamplifier with MM/MC inputs alongside the same features and appearance as the A 30 (above), and MA 30 (below) is a pair of 225W monoblocks at £3,200. 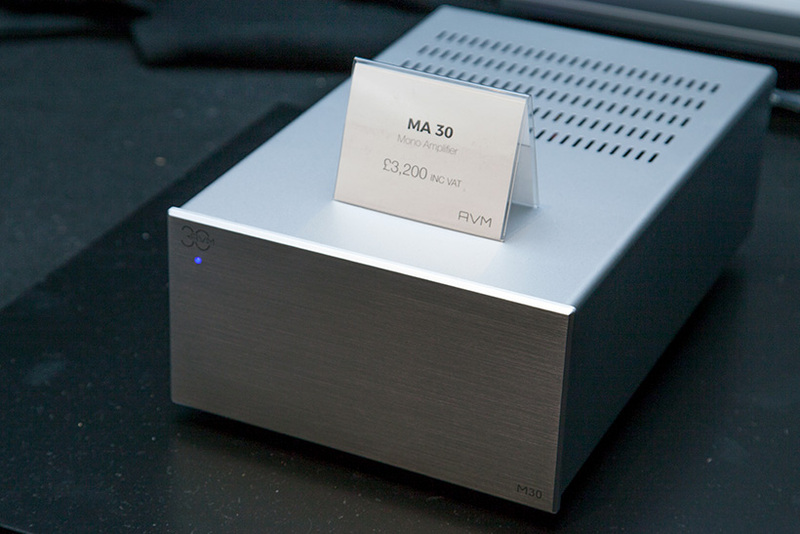 Sources are the CD 30 disc spinner and DAC at £1,950, MP 30 (above) streamer/DAC/CDP (£2,650) with access to Tidal, Qobuz and net radio and P 30 MM/MC phono stage at £699. The CS 30 is one box solution that combines a 110W integrated amp with the functionality of the MP 30. 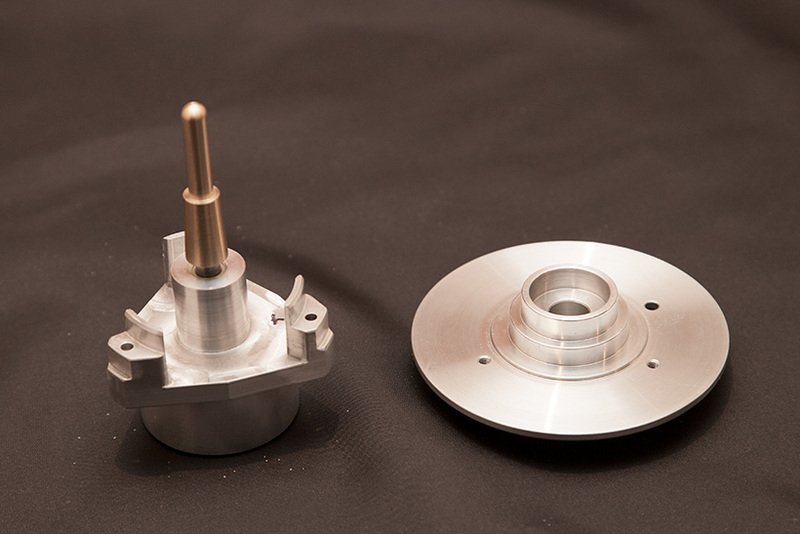 The company has had to outsource manufacturing to achieve these price points but by using existing technology they were able to cut down on R&D costs and maintain the standards of build and finish found across the AVM catalogue. 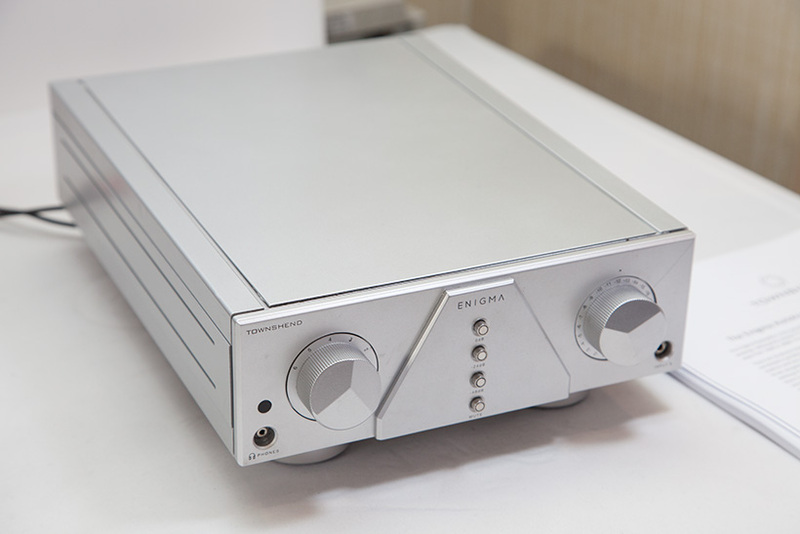 Townshend Audio have a new passive autoformer preamplifier called Enigma. This builds on the Allegri by offering 72 x 1dB steps of volume control, considerably more than any other passive pre on the market. There are three gain level buttons and a mute on the front and both single ended and balanced connections on the rear. 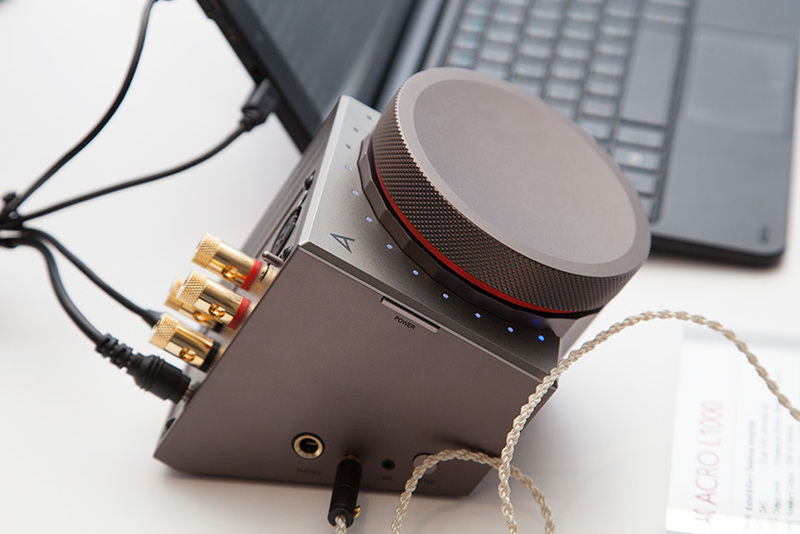 A separate power supply drives a remote motorised volume control and headphone amplifier, it even makes the illuminations change intensity to suit ambient lighting. Price has been set at £7,990 with availability in the spring. 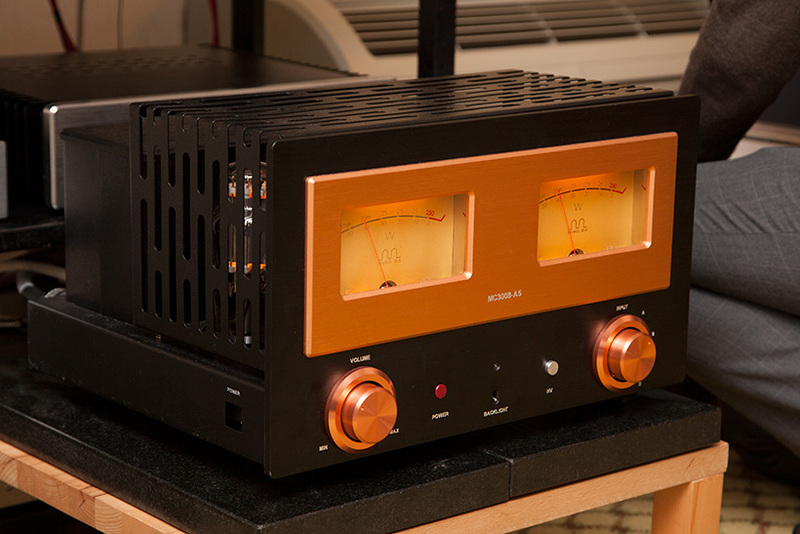 Malvern Audio Research had the latest addition to the Ming Da tube amp range in the Cavatina Scatola (£4,000), this is a single ended integrated with four line inputs, remote volume and 805A triode output tubes driven by 300Bs and a specced output of 35 Watts a side. Its beefy looks are backed up by a 40kg mass. Dave Roberts was one of the men behind the original Blueroom pod speakers, and he’s back in the game with the Orpheus JTR1. With its curvy GRP cabinet this has an aluminium mid/bass driver and tweeter and the terminal tray underneath is machined from billet to include a reflex port. It stands on bullet feet and carries a £2,000 price tag for the pair.